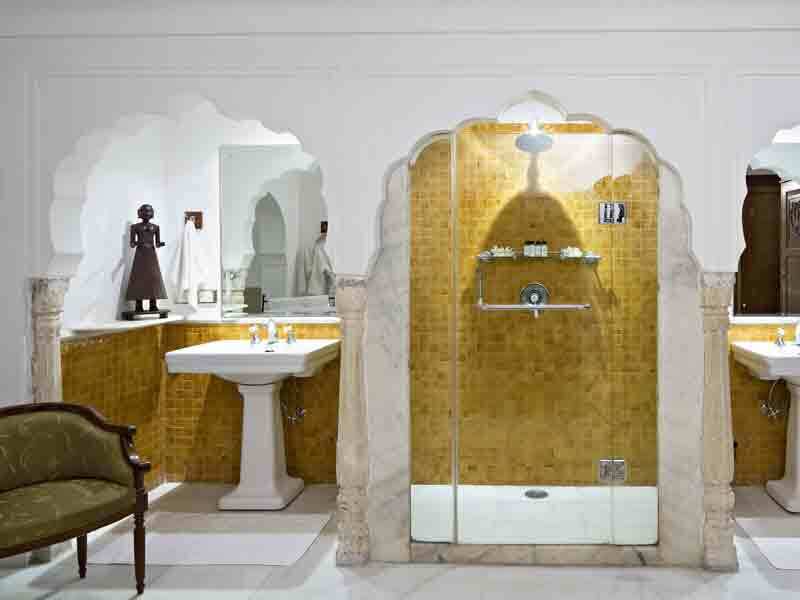 The sheesh mahal is a very special room. It is 200 years old. 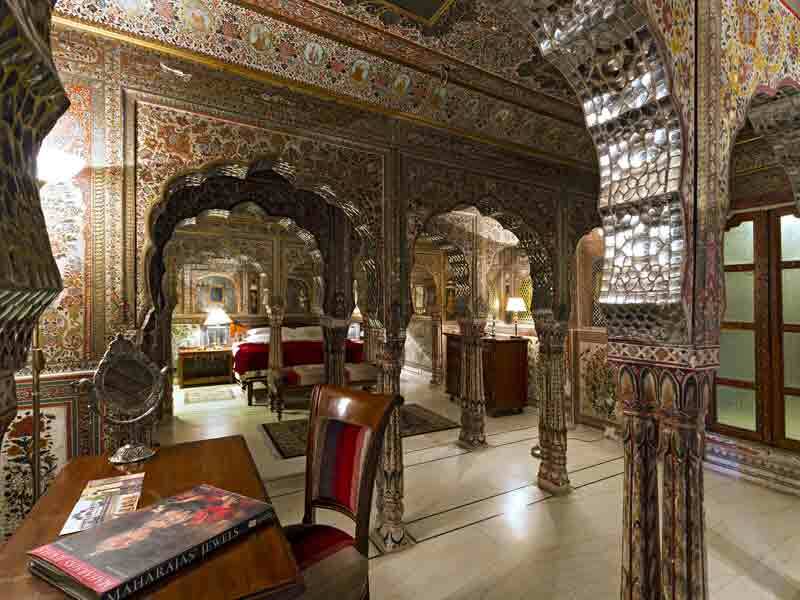 It has the original mirror work of Samode. 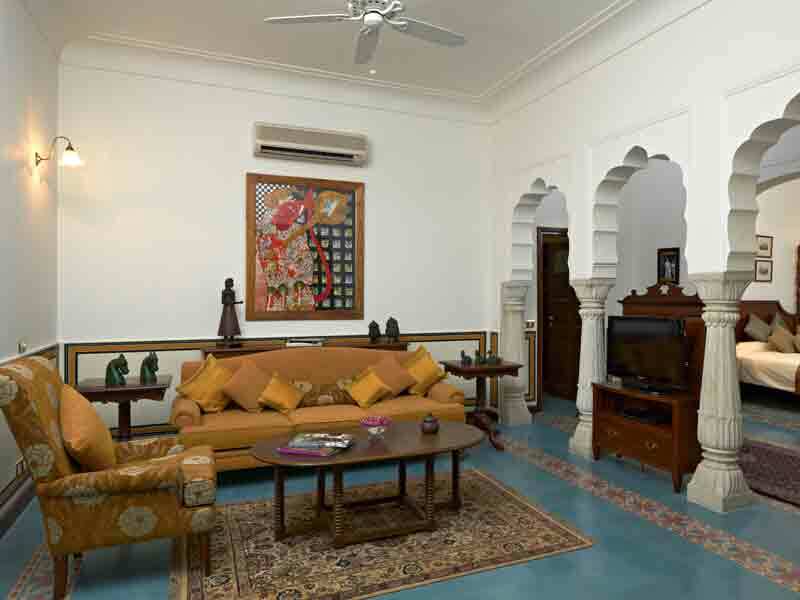 The walls are frescoed with traditional rajsthani paintings. 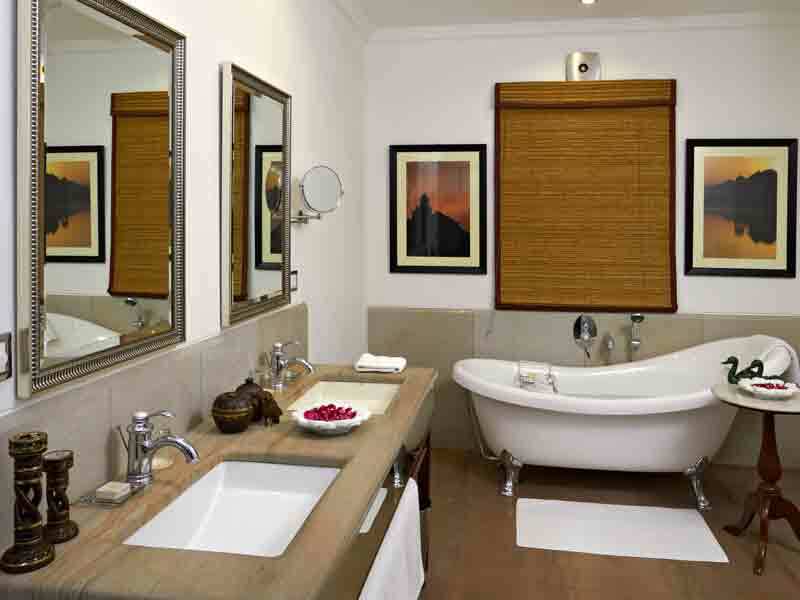 * The pictures are just an indication of the style and decor of the rooms. Owing to the nature and age of the building no two rooms are similar. 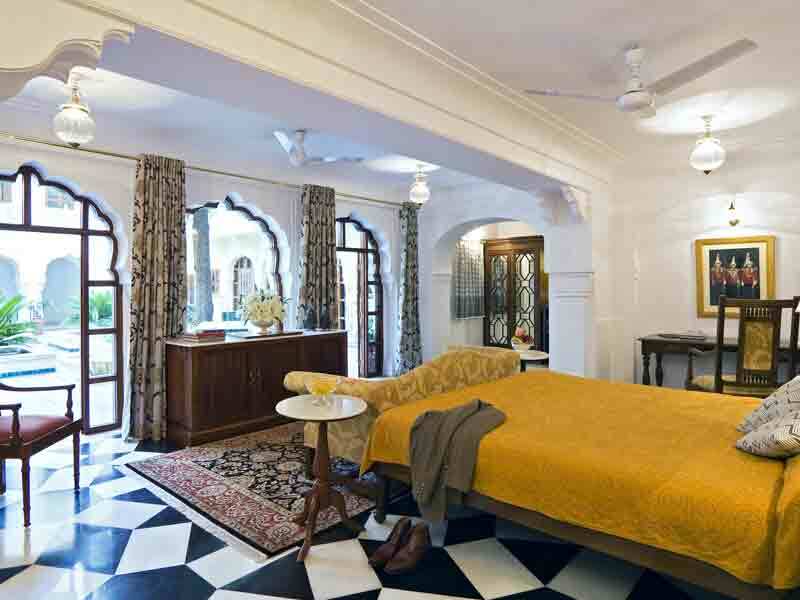 Each of the 39 well appointed rooms and suites are individually designed and furnished with genuine antiques and fixtures, old family portraits adorn the walls, the ambience and experience is further enhanced due to the presence of state-of-the-art in room amenities. Most of the rooms have a separate dressing area. All rooms are with ensuite bathrooms with shower and tub with hot and cold water, air conditioning, television with cable connection, telephones with international dialing facilities. 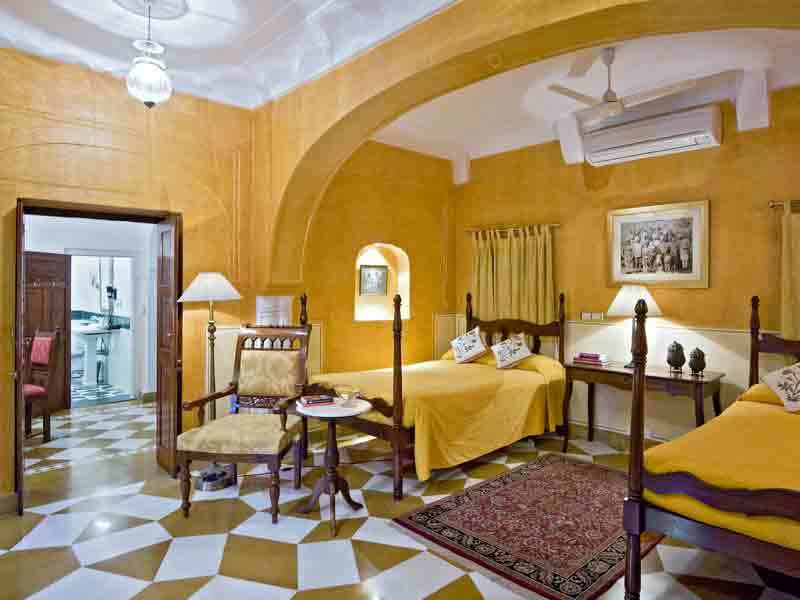 The guest rooms are regal & celebrate the richness of India culture in a tapestry of classic dcor & unmatched comfort. 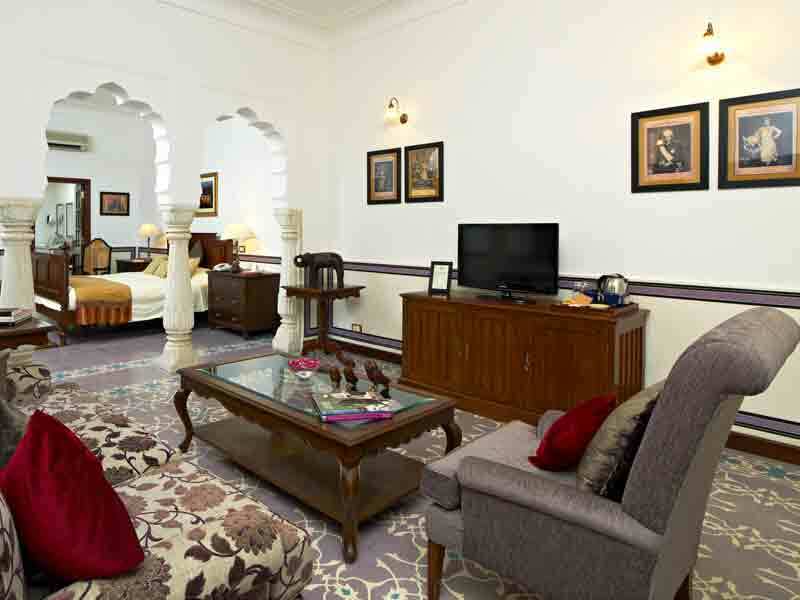 The spacious Maharaja and Maharani suites are absolutely stunning, with every inch of the ceiling and walls ornately painted and ornamented with mirror mosaics. 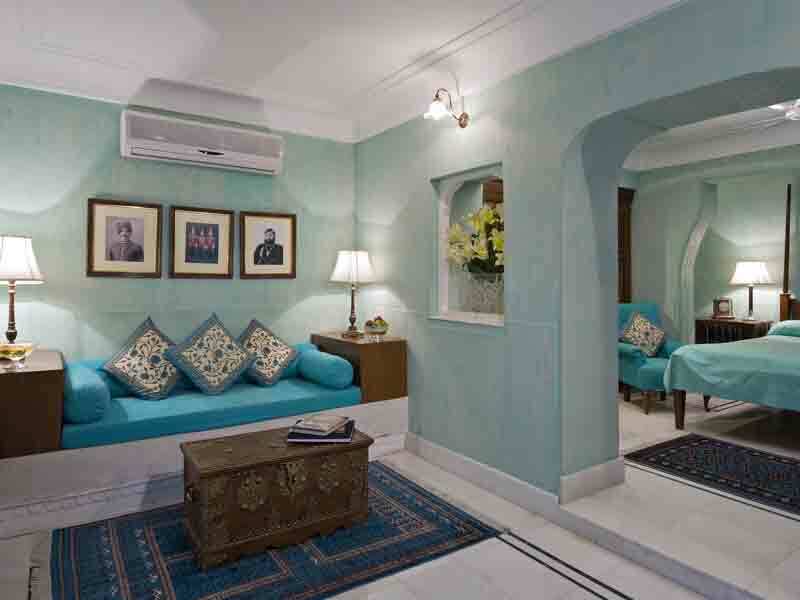 Each of the 39 well appointed rooms and suites are individually designed and furnished with genuine antiques and fixtures, old family portraits adorn the walls, the ambience and experience is further enhanced due to the presence of state-of-the-art in room amenities. Most of the rooms have a separate dressing area. All rooms are with en suite bathrooms with shower and tub with hot and cold water, air conditioning, television with cable connection, telephones with international dialing facilities. 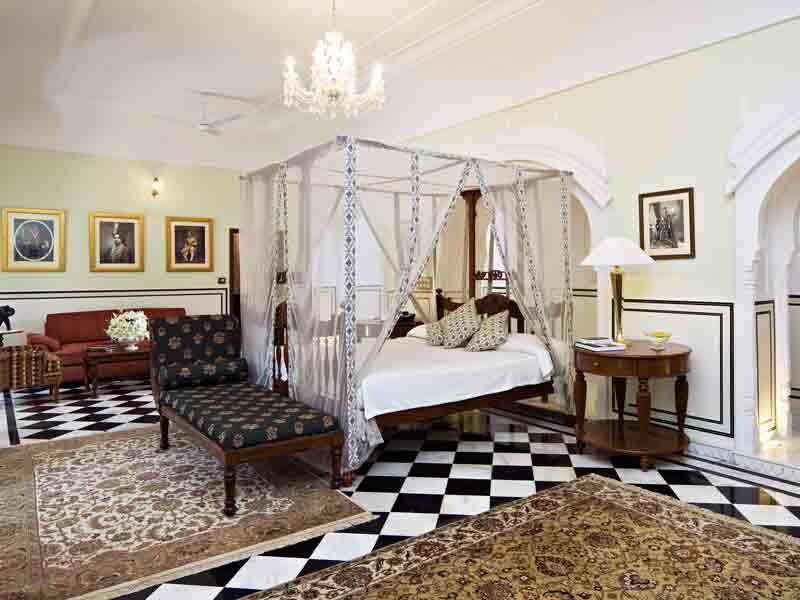 The guest rooms are regal & celebrate the richness of India?s culture in a tapestry of classic dcor & unmatched comfort. 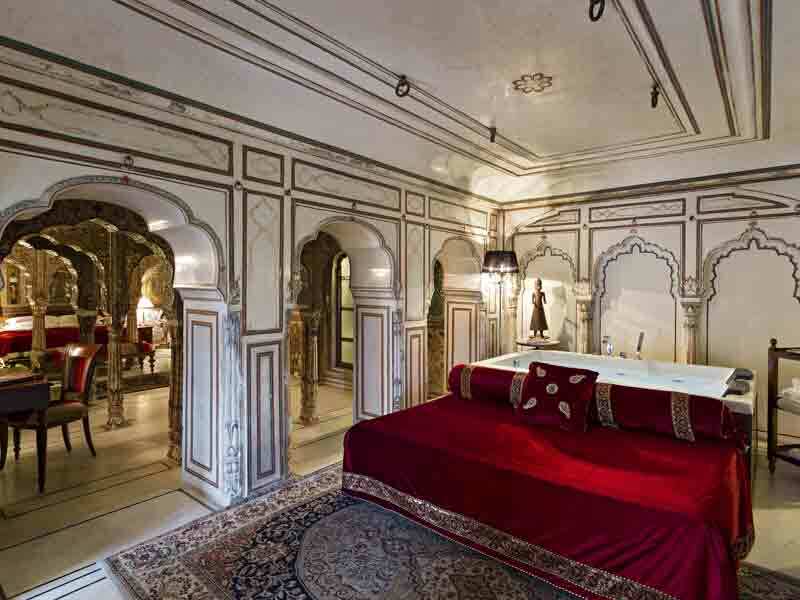 The spacious Maharaja and Maharani suites are absolutely stunning, with every inch of the ceiling and walls ornately painted and ornamented with mirror mosaics.